In a previous post, I wrote about my visit to Fort Rosecrans National Cemetery. 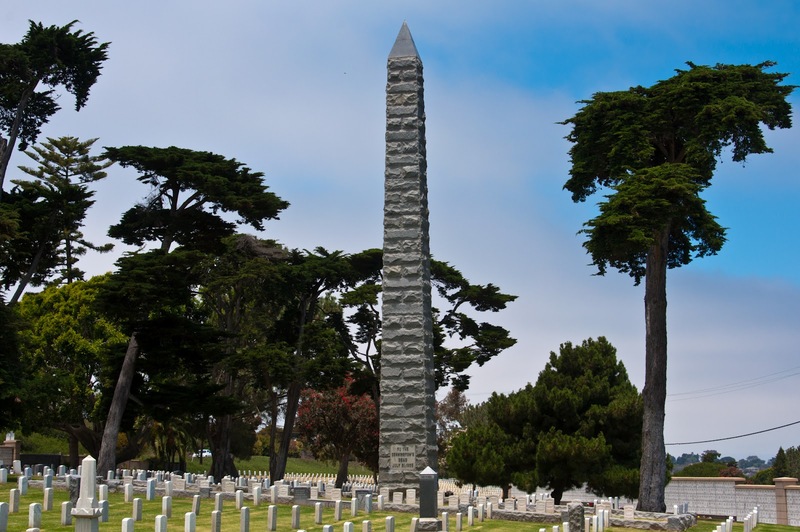 What I did not mention in that post, but I personally found especially interesting at the cemetery was the USS Bennington Memorial, a 60 feet tall granite obelisk dedicated to the men who lost their lives in a boiler explosion on The USS Bennington (PG-4) in San Diego Harbor on July 21, 1905. The monument was dedicated on January 7, 1908. This memorial is different from the USS Bennington Memorial in Newport, Rhode Island, which honors those who died as a result of a catapult explosion on the USS Bennington (CV-20), a later US navy ship named "Bennington". I found the Benningtom Memorial interesting because it immediately brought back memories from 1985 of having actually been to Bennington, Vermont. During my early college years in Troy, NY, the legal drinking age in Vermont was 18, while 21 in New York. So, on occasion we would head out of Troy, on Hoosick Road to go the straight 31 mile trip to Bennington for some drinking. 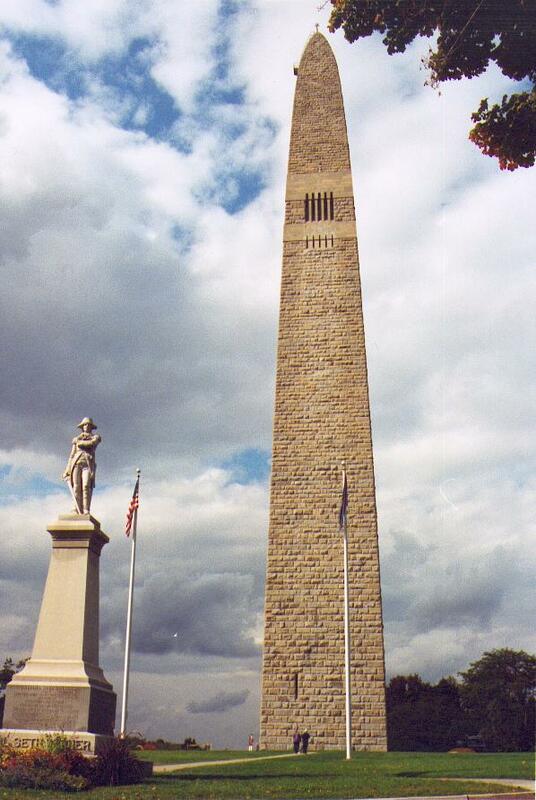 The Bennington Memorial at Fort Rescrans has a strong resemblance to, but is substantially shorter than, the Bennington Battle Monument, a 306 feet tall limestone obelisk which was completed in 1889.